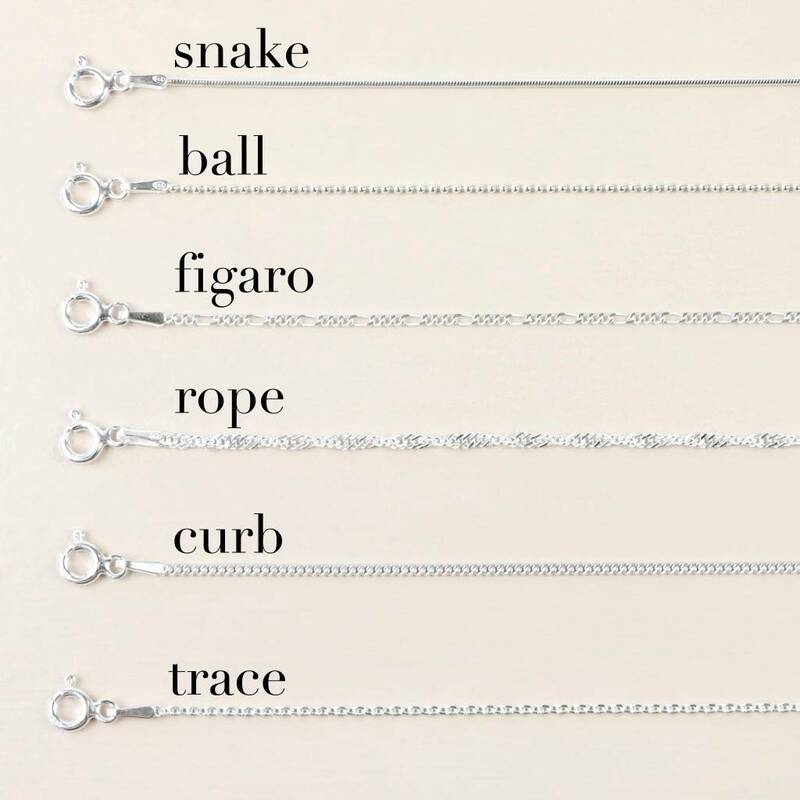 A personalised piece of sterling silver jewellery, from the Lisa Angel Handmade Collection. 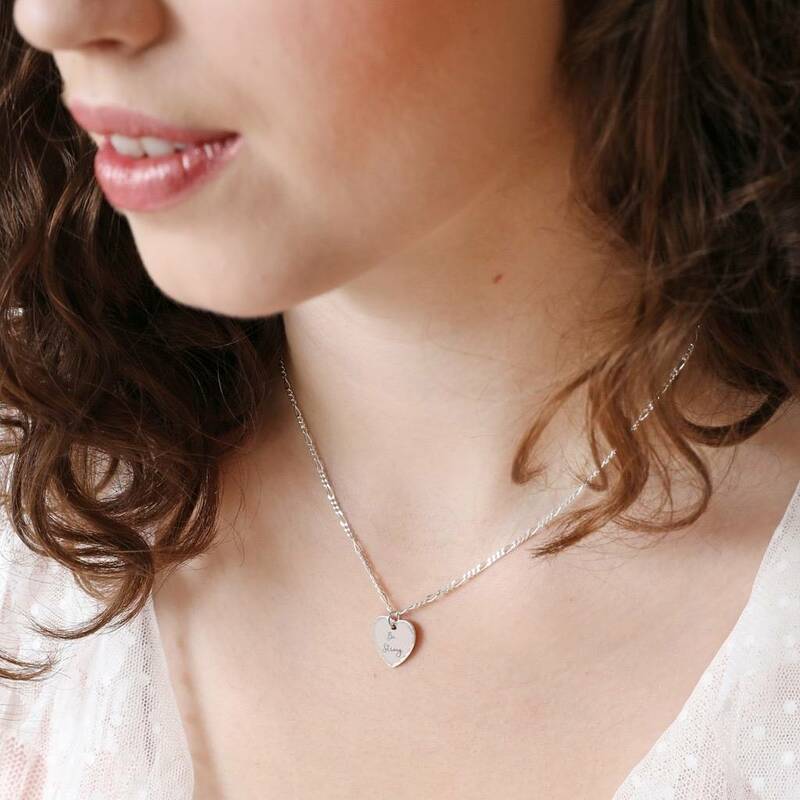 Update your sterling silver jewellery collection with this quality heart pendant necklace, personalised just for you. 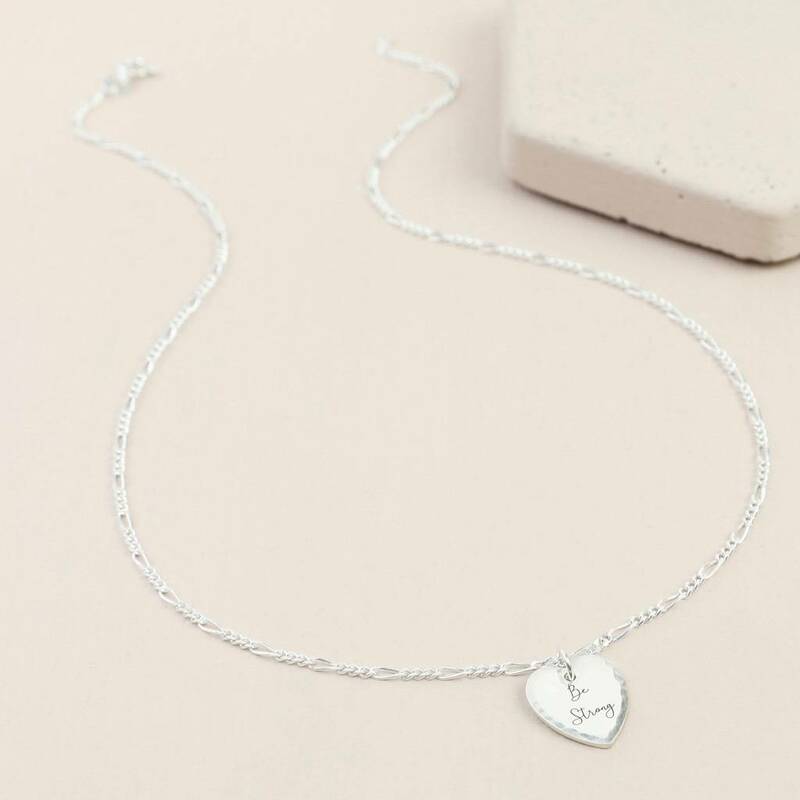 Handmade here in the UK by our skilled jewellery team, the heart charm on this necklace features and engraved personalisation across the centre and is finished with a hammered effect around the edging. 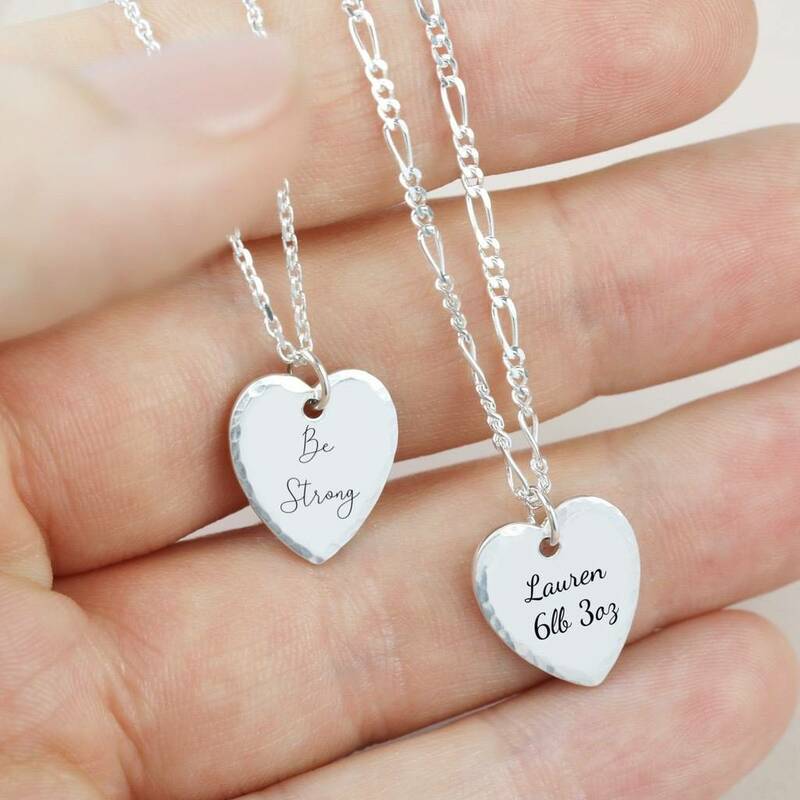 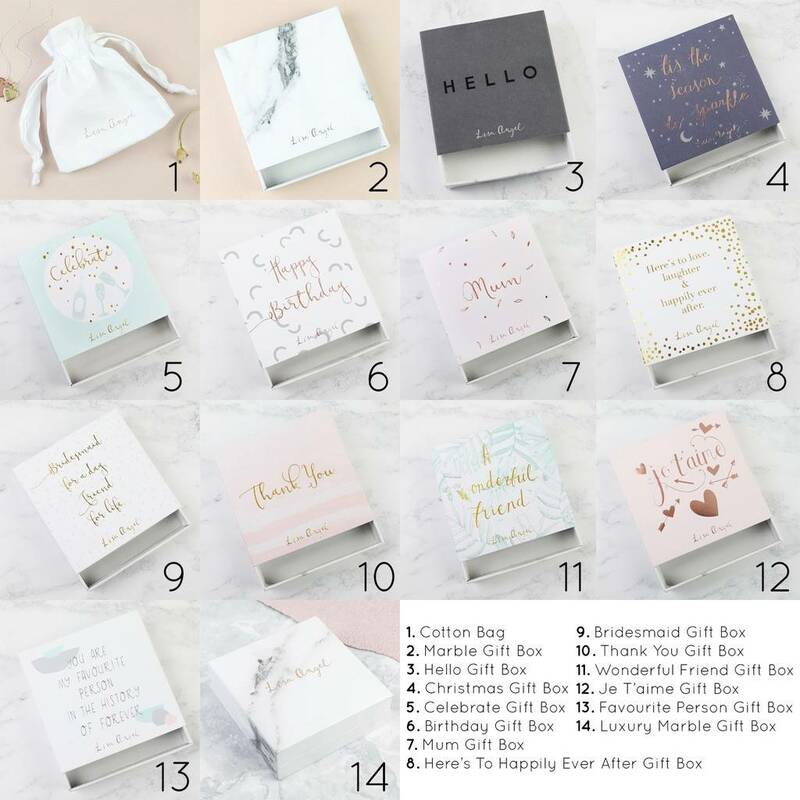 Attached to a delicate sterling silver chain in your choice of style, this hypoallergenic piece of jewellery is a long lasting accessory to wear daily and makes a perfect personalised gift for a bestie, bride, or bridesmaid. 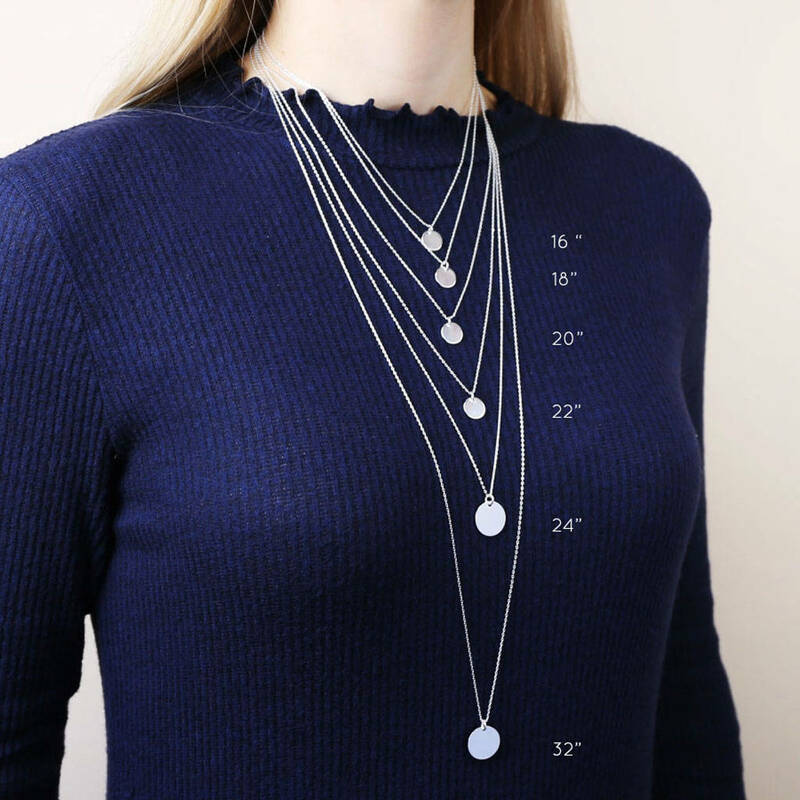 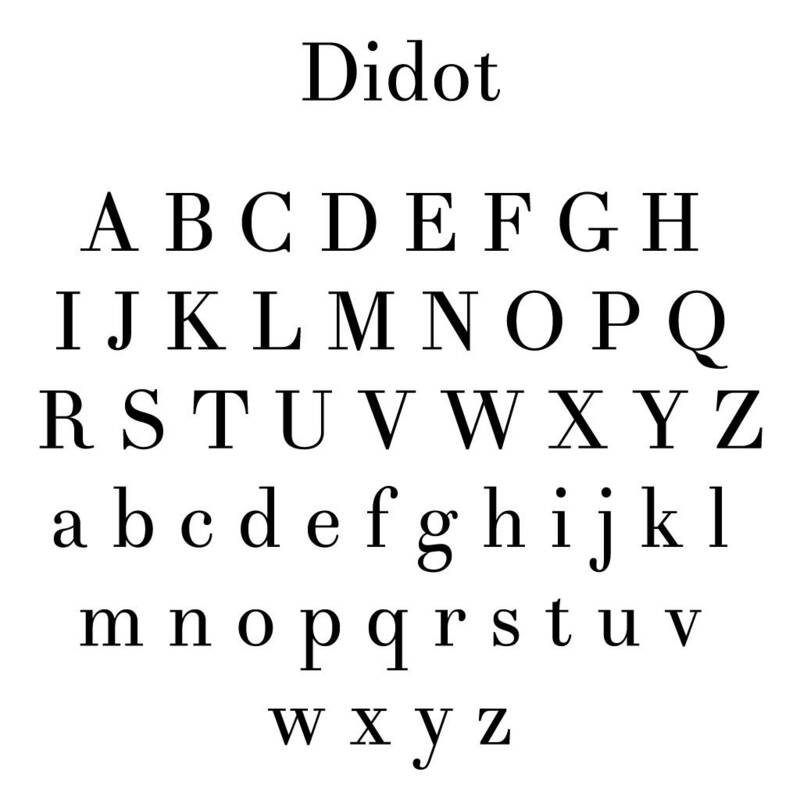 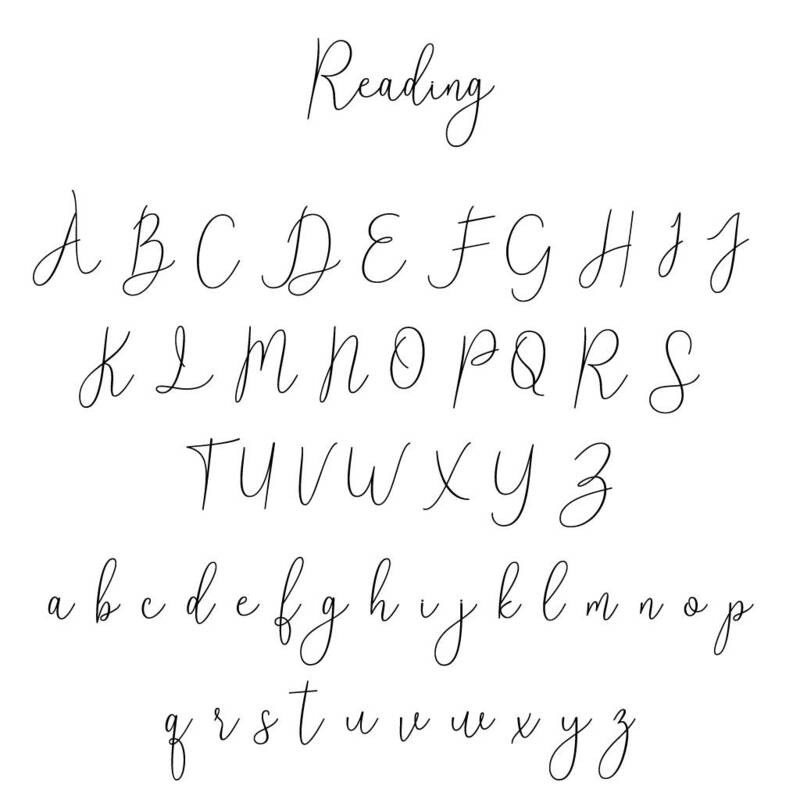 The surface of the heart pendant will be laser engraved with up to 2 lines of up to 8 characters including spaces and punctuation.